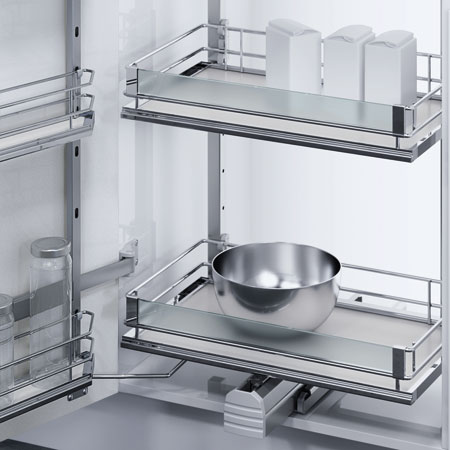 Dazz Hardware is a supplier of tall and pantry units from Blum, Hafele, Everyday, Spitze and Olive in Kolkata .These modular kitchen fittings are specifically designed with a high storage capacity and functional life to keep bulk quantity of food products in an organised manner. 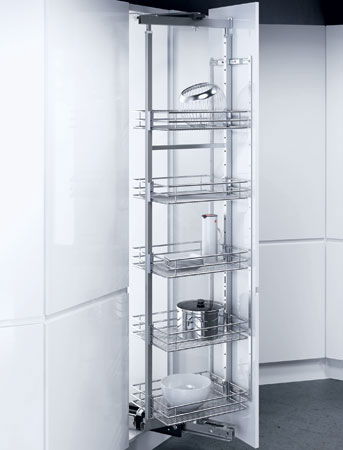 Available in elegant designs, these pantry units are highly convenient and accessible. 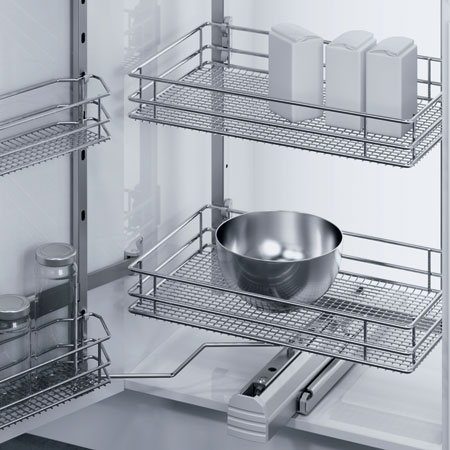 The kitchen accessories are equipped with baskets to support the storage of food products of numerous sizes in a systematic manner.